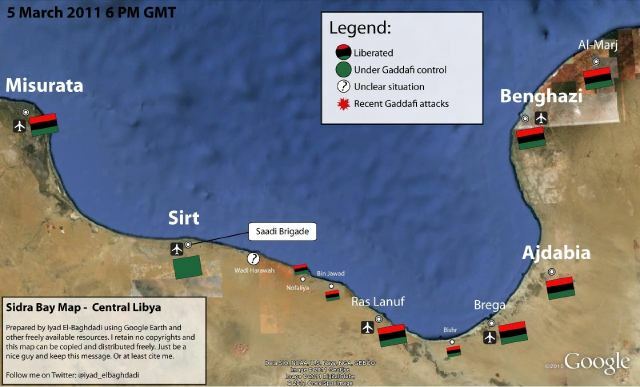 These latest maps of Libya from Al Marj and Benghazi to Zwara were created by Iyad El-Baghdadi who says in his profile that he is an “Islamic libertarian. ” Azzawiya is called Zawiya on international news. 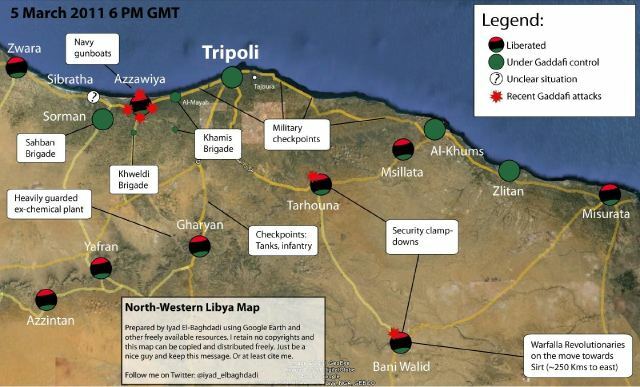 Recently captured Ras Lanouf is on second map.